You may have noticed that the Land of Enchantment could also easily be called the Land of Endless Blue Skies. Having spent nine years of my life living in and around Los Angeles, the lack of smog is definitely one of the things that separates us from that other sunshine soaked location. In fact, in the Albuquerque area there are really only two times when that beautiful blue ceiling is disturbed. The first is when those Spring winds kick up dirt from the West and slam it against the Sandia Mountains. One month after passing a controversial cap and trade agreement, the New Mexico Environmental Improvement Board (EIB) on Monday (Dec. 6) passed another sweeping measure aimed at lowering the state’s greenhouse gas emissions. I’ve complained about the manner in which this appointed Board has conducted itself for years, and I’d like nothing more than to see it dismantled. They have served one purpose and one purpose only. Namely, they are a classic example of what happens when you form a pseudo governmental body that has nothing constructive to do. They start creating regulations where none are needed in order to give themselves purpose. When that happens, the losers are inevitably the voting public who find themselves subject to “laws” created by unelected “representatives.” Just one more example of how freedoms taken for granted can so quickly be taken away. What happens when you pass a 2,409 page health care overhaul bill into law? All kinds of terrible things. No, this is not a post about the merits of the health care “reform” that the Democratic Congress and our President force fed to the American people. Instead, this is a perfect example of why Americans should just tell their elected representatives, “No!” anytime they want to pass legislation into law weighing in around twenty pounds and containing more pages than the Bible. Section 9006 of the health care bill — just a few lines buried in the 2,409-page document — mandates that beginning in 2012 all companies will have to issue 1099 tax forms not just to contract workers but to any individual or corporation from which they buy more than $600 in goods or services in a tax year. The full negative impact of this new burdensome regulatory burden on the business community will go into effect in just 18 short months. As a small business owner, I can unequivocally tell you this will be a truly devastating and production draining practice on America’s business community. A compliance demand by our federal government that will only serve to increase overhead expenses for every businesses – from the struggling artist to the multinational behemoth – without adding the least bit of value. Those of you that own or operate a small business already know how difficult it can be to stay afloat and compete in today’s economy, especially during tough times. Besides the regular day-to-day operations, there are all kinds of fees, taxes and other regulatory burdens that make doing business a challenge. Can you imagine having to track and tally every single business purchase you make throughout the year and send 1099 forms to all of them? How about having to collect names and taxpayer identification numbers from every vendor or payee that you dealt with? Can you imagine how long it would take on the phone with Wal-Mart customer service to try to obtain the company’s tax ID? Multiply this by the other five hundred companies you do business with, and you start to get an idea of the new burden this is going to place on small businesses across America. It’s going to take a whole lot more time to comply with these rules, and many small businesses will probably have to hire someone full-time just to take care of it all. The additional expense will either further strain companies who can take the hit (which will just drive up prices for consumers) or force them out of business. But no matter how you look at it, it’s a lose-lose situation for American businesses. If you’re in business, now would be a good time to let your elected representatives – from county officials to the White House – know that this is a bad regulation for America. It’s also a good wake-up call for every American. The Democratic Congress and our President have encore performances of the healthcare sized legislation in the works. They’re eager to push financial “reform” and climate change bills. Well, I think its time to pass a new law. Simply stated, if a bill is longer than the Constitution of the United States, it doesn’t even get printed – let alone come up for a vote. Regulation costs money. Regulation upon regulation upon regulation costs lots of money without adding any significant benefit to our society. In fact, more often than not these additional regulatory burdens lower our quality of life by misdirecting limited resources. Imagine a playground with bark chips instead of sand, curved plastic edges and smooth bolts so no one gets hurt, specialized swing chains and three different play zones for different ages. This is not just someone’s imagination. It’s a set of federal guidelines that will cost Albuquerque Public Schools about $10 million to meet. The federal guidelines are not mandates per se, but failure to follow them leaves the district vulnerable to lawsuits, said John Dufay, APS maintenance and operations director. He said the most important reason for doing so is student safety, although liability is an issue. Any student injured on a playground that doesn’t comply with the guidelines would have an easier case, he said. Now, I have two school age children, and don’t want to seem them get hurt playing on playgrounds. But, let’s get real here. Children sometimes get hurt when they play, and there don’t exist safety measures that can be put into place to 100% protect children from getting hurt. I can almost guarantee you that even with these proposed playground changes, we will still have kids getting hurt during recess. And, we will still have schools getting sued when children get hurt because we live in a litigious society. It’s not just regulation supposedly designed to protect children that is misguided. There are other regulatory burdens that basically boil down to more money out of our pocket. 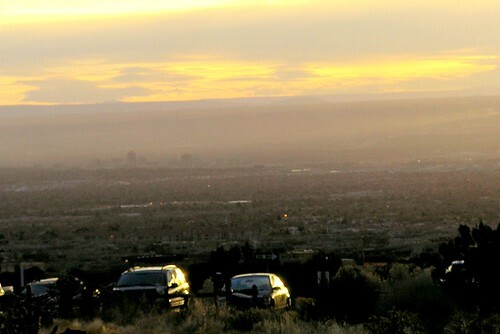 New pollution controls could be in store for New Mexico as the Obama administration moves to crack down on smog. Parts of at least four counties — San Juan, Rio Arriba, Doña Ana and Bernalillo — could be out of compliance with the new ground-level ozone standard proposed by the U.S. Environmental Protection Agency. Nationally, the new limits could more than double the number of counties in violation. Of course, that’s just a partial list. States and municipalities will have 20 years to come up with prohibitions and mandated services to meet these new federal regulations. Plus, we know that as soon as these regulations are in place, someone will come up with a new stricter regulations will come into play. After all, that’s what the government does – come up with new regulation and legislation. The tighter standards, though costly to implement, will ultimately save billions in avoided emergency room visits, premature deaths, and missed work and school days, the EPA said. That last sentence says it all. What we’re really doing is cost shifting from one expense area to another. We’re removing one inconvenience n replacing it with another. We’re not improving our lives in any substantial manner. We’re just regulating for the sake of regulating. Larry Moore was a homeless man who got it together and started a shoeshine business. From his profit, he saved enough money to rent an apartment and get off the street. And then, the city of San Francisco slapped with him a bill for sidewalk vendor permit. The shakedown cost Larry hundreds of dollars, because in San Francisco, as is most places, offering a product or service that people are will to pay for and pulling your self up by your bootstraps requires someone’s permission. Another perfect example of American entrepreneurship being regulated out of existence. Now tell me again, who is keeping the poor, poor? There is a right way and a wrong way to do things. When it comes to passing laws, that right way is to introduce a bill at the legislative level and let those for and against a particular bill make their case. Then, if the bill gets passed, it is up to the Governor to sign or veto it. Pretty simple to understand, right? Then someone please explain to me why Governor Richardson and his appointees continue to struggle with this relatively easy concept? In the absence of state legislation, New Mexico officials will continue to try to work with other Western Climate Initiative members to flesh out details of the cap-and-trade system they still hope to pursue, said Sarah Cottrell, Gov. Bill Richardson’s energy and environment adviser. The state will also look at other steps that can be taken administratively, without the need for legislation, Cottrell said. This administration, more than any other, has repeatedly tried to undermine the legislative process when they have been unhappy with the outcome of a particular bill. The bill in question HB653: Mandates Green House Gas Reductions, was widely considered “a Governor’s bill” which makes this maneuver even worse. Before the environmentalists among you leave comments that support the Governor’s mandate over the constitutional process we still have for making laws. Let me put this in another context for you. Let’s take an issue like abortion that pretty evenly divides the population. Should a pro-life Governor be able to appoint a regulatory body to regulate abortion? Like I said, it’s a slippery slope. It’s still a slippery slope. The legislative and executive branches have done everything in their power to bankrupt our state in recent years by “investing in our future.” There was the Rail Runner investment in our future, which has resulted in an increase in gross receipts taxes to support it’s operations – look for more increases to come in the future. Then, there was the Spaceport America investment in our future, which has also resulted in new taxes. New Mexico regulators are considering a proposal that would expand rooftop solar energy programs at the state’s largest utility. The program, under which Public Service Company of New Mexico would pay a premium to buy electricity from rooftop arrays, is part of the state Public Regulation Commission’s efforts to expand production of renewable energy in the state. The program’s backers say it will create an incentive to expand nonpolluting energy production. By putting the power systems in the middle of the city — “distributed generation” — it will also reduce the need for new transmission lines, backers say. “We’re investing in the future,” said PRC member Jason Marks. U.S. shopping center and mall property owners took a thumping on Monday as investors feared Circuit City Stores Inc’s (CC.N: Quote, Profile, Research, Stock Buzz) bankruptcy filing would usher in more failures and take property owners down with them. It has been reported that next quarter Eclipse Aviation might be closing shop. In China, people are abandoning the cities and moving back to the countryside. This is not just a U.S. recession. This is a major world recession, and giving AIG another $27 billion is not going to keep it from happening. The government restructured its bailout of American International Group Inc, raising the package to a record $150 billion with easier terms, after a smaller rescue plan failed to stabilize the ailing insurance giant. The Federal Reserve and the Treasury Department announced the new plan on Monday as AIG reported a record third-quarter loss of $24.47 billion, largely from write-downs of investments. The new package, at least $27 billion more than was previously extended, will leave the government exposed to billions of dollars of potential losses. I was on the phone with a friend, and I predicted as a nation we could hit 10% unemployment before we hit the bottom. A bottom I don’t expect us to hit until after the 4th Quarter of 2009. This year’s retail holiday season could be one that shrinks for the first time in a long time, and my guess is that next year will be worse. They won, they’re entitled to try their way. After all, campaign promises were made, and they are going to have to try and deliver on some of them. That’s not the problem. I think it’s a mistake, but hey, I’m obviously in the minority. The real problem is if they try and deliver on ALL of them. It is not possible. For example, Mullikin said that China’s carbon dioxide (CO2) emissions increased more in one year (2006-2007) than U.S. emissions have increased in the last decade (1997-2007). In 2007, China passed the United States and now accounts for 18 percent of the world’s CO2 emissions, releasing over 800 million metric tons more CO2 than the United States last year. The shift of clean, regulated American industry to nations with little to no environmental regulation will result in lost U.S. jobs. Proposals like a cap and trade program will also increase energy prices for consumers. Electricity prices in New Mexico are estimated to increase by up to 133 percent by 2030, while gasoline prices are estimated to rise by up to 140 percent. Can you imagine the loss of 11,000 jobs and $1.2 billion in gross state product on top of the economic recession/depression we are about to experience? Four or five years from now, while the rest of the country is experiencing an economic rebound, New Mexico could very well be falling further into a depression because some folks decide to regulate and tax our biggest economic contributors out of existence. Lewis says any young person who goes out and gets a good education and has a strong work ethic can achieve anything they want. We have come a long way, but let’s not forget how we arrived here. The secret is in Lewis’ last sentence above: education + work ethic… not government bailouts and additional regulation. If more Democrats keep this in mind, we just may be okay. Just a couple of months ago, it was widely predicted that prices at the pump would hit five dollars by Labor Day. Now, it seems that we might actually see a drop in prices at the pump between now and the election in November. Sen. John McCain, the presumed Republican presidential nominee, supports lifting a drilling ban along the Outer Continental Shelf and encouraging more offshore drilling and natural gas production in the Gulf of Mexico. Sen. Barack Obama, the all-but-certain Democratic nominee, has opposed lifting the current offshore drilling bans. Meanwhile, President Bush on Wednesday renewed his request that Congress lift its moratorium on coastal oil and gas drilling. Senate Majority Leader Harry Reid, D-Nevada, relented on the offshore drilling issue earlier this week, offering Republicans a chance to offer four amendments to the speculation bill, including one that would bring the drilling proposal to a Senate vote. Look again at the bolded sections from Michael Coleman’s article. Even a goof like “Give ’em Hell Harry” recognizes the fact that domestic drilling deserves to be on the table. Yet, the Democrats presumptive nominee for President, Senator Barack Obama, remains stubbornly opposed to any common sense solution to ultimately returning market control of gas prices to Americans. OPEC has rejected US pleas for raising production and the president of the cartel says he expects oil to stay at current price levels through the end of this year. That stands against a market where oil demand has gone up 1.5 million barrels a day for the last ten years. If gasoline prices move from their current average price of $3.20 to $5, the cost of fuel for a family that spends $50 a week for gas would move up over $1,000 a year. That would wipe out any tax rebate payments from the Federal government and drive the economy deeper into its currently slowdown. It would also further fracture already delicate P&Ls; and balance sheet at large auto makers and airlines. Retailers would get less traffic. Very few industries would be spared some effect. “… wipe out any tax rebate payments from the Federal government and drive the economy deeper into its currently slowdown.” That’s also an important fact to keep in mind for Governor Richardson’s upcoming taxpayers funded Special Session. We’re an oil producing state, yet the Governor is doing everything in his power to discourage oil production. He did it when he passed unnecessary pit rules, and he’ll do it again in the upcoming regular session by trying to bring the cap and trade scam to New Mexico. Of course, in characteristic Richardson fashion, he is hoping to dupe New Mexicans into believing that by giving us a rebate, he is alleviating our pain. However, the plain and simple truth is that, like all other Richardson fiscal decisions to date, he is making it more expensive for most New Mexicans to live. City Hall launched an environmental task force on Thursday that will recommend ways for local governments and residents to address global warming. Mayor Martin Chávez joined County Commission Chairman Alan Armijo and City Councilor Isaac Benton to announce the 35-member group, which includes representatives from Sandia National Laboratories, environmental organizations and government agencies. Chávez said he hopes the task force will compile a “climate action plan” within six months. The group’s plan should have value even to those who aren’t concerned about the environment, he said. What’s a climate action plan? Basically, it’s a politician’s sound bite that’s guaranteed to cost us, the taxpayers, money and hassle.